Most people don’t buy business phone systems very often, so it can be difficult to know if you are making the right decision. We can assure you that the move from traditional PRI lines to SIP trunking is a smart one. In theory. It offers significantly reduced costs, way more flexibility, and a host of unified communications features that can make your business run more smoothly. But all of that depends on choosing the right SIP trunking provider. We hope that you’ll consider SIP.US, but even if you don’t, there are some warning signs that you should know. Let’s get the technical part of this covered right off the bat. You don’t need to be a telecommunications expert or understand how the network operates exactly in order to make a good decision about a SIP provider, but you need one questioned answered. Does the provider use a Tier-1, redundant network? It is important because many cut-rate SIP vendors use Tier-2 or Tier-3 networks that don’t directly connect to the backbone of the internet. These sub-par networks are cheap to operate, but they don’t always offer a communications infrastructure that is sufficient for business voice needs. When it comes to measuring the quality of SIP trunking service, there are two essential metrics; packet loss and data latency. Each SIP provider that you talk to should be happy to provide you with their statistics for both. Be very concerned if they claim that this information is confidential or if they try to convince you that it doesn’t matter. It does. Packet loss and data latency lead to conditions known as jitter and lag. This means exactly what you would guess, a poor experience for users. Look for a provider that meets the standard of 1% for packet loss and 150 milliseconds for latency. High-speed and high-quality bandwidth is the key to your experience with SIP. That’s why it is essential that you be free to choose the provider with the best service and value in your area. Operating as an ISP can be very profitable for SIP providers, and there’s nothing wrong with providing the service per se, but we urge caution when dealing with one that makes getting bandwidth from them a requirement. There are plenty of vendors that will let you choose the best ISP for your business needs. We should be clear that many successful SIP deployments are conducted entirely online in self-service fashion without a hitch. That’s how most of our customers get started. However, sometimes there will be questions or minor hiccups along the way. You want a provider with experts on staff to help you before, and especially after you sign up. Make sure that you can talk to a human if you want or need to. This one goes in the “nickel and dime you to death” category. They try to convince you it’s no big deal because it only costs fractions of a penny per use, but the bottom line is there is no reason at all to pay for it. 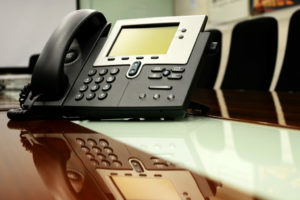 The market for SIP trunking will exceed $10 billion by the end of next year. That’s not a surprise given how much businesses can save and how flexible it is. Picking the best vendor for your business doesn’t have to be a crap-shoot. If you avoid providers who fall into these categories, you’ll go a long way toward ensuring your success.